Don’t miss a thing… Be sure to follow us at DIY Cozy Cottage on Facebook to get updates for all of our new sweet n saavy projects – posting 3 to 10 new projects everyday! This aged technique is so easy it’s brilliant! This is a great example of what you can do to make a new piece of furniture fit with the furniture you already have. 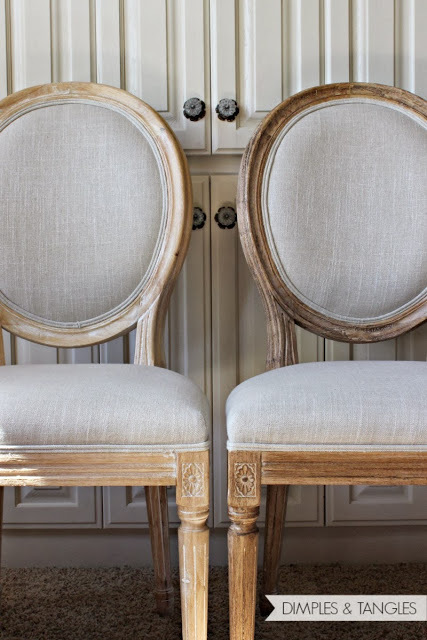 Jennifer needed her chairs to have a darker aged effect rather than the white washed effect to blend with the dining table she already had. She bought the chairs at TJMaxx ~ wow I love what they get sometimes, and these are very nice, quite my style 😉 as I really like upholstered chairs for the dining room. But when you shop at TJMaxx you have to be quick to get it when you see it, or it’s gone for sure if you wait — just a warning! This entry was posted in decor, furniture and tagged aged painting technique, DIY, DIY cozy cottage on December 4, 2013 by Presley-Love. Christmas Parfait Desserts – oh my! How cute are these adorable dessert parfaits? They are absolutely perfect for your holiday bash. And… they’re healthy, oh your kids will never ever know! They’ll be asking for these little dessert treasures all year long. And the darling holiday party toppers – yeah this is what makes it super fab – guess what they’re *free*, all you have to do is print them up! I love it when we get free printables! 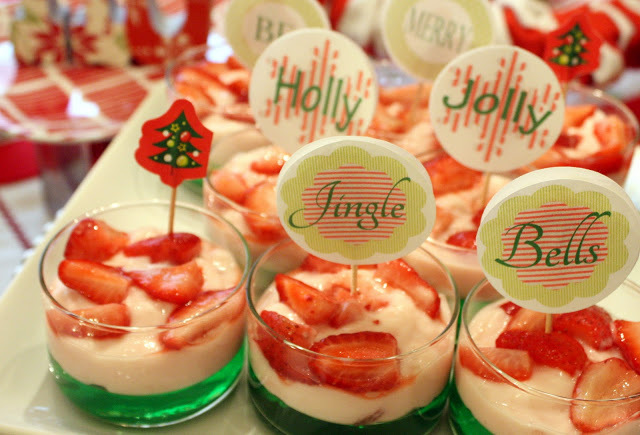 This entry was posted in food & entertaining, holidays and tagged christmas desserts, dessert parfaits, DIY cozy cottage, party desserts, party food on December 4, 2013 by Presley-Love. Okay…. you’re–a–gonna–love–me for this! 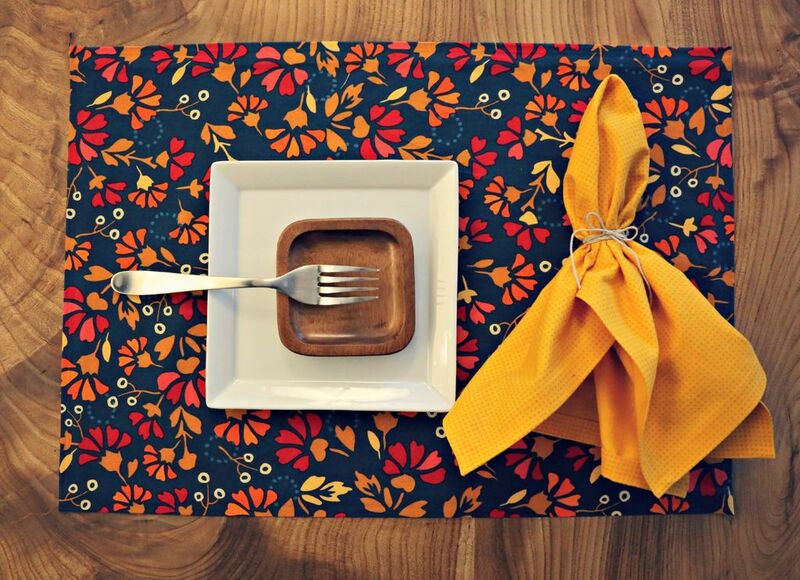 Sweet DIY for how to make placemats without pulling out the sewing machine! I love using fusible bonding web whenever I can, I’ve used it for hemming pants, for creating appliques on jackets and jeans and on and on! What I love the most about this project is that you can choose your own divine fabrics. Just make sure that the fabrics that you choose are washable, you don’t want to have to dry clean your placemats and napkins ~ yikes, that’s ‘spensive Lucy! This tutorial from Instructables also gives you the instructions to create the napkins with the no sew method. And you know by now that I think that anything made by hand makes the sweetest gifts! If you want to make the napkins as well, I suggest a color that is in the placemat fabric for the best overall look – like the one shown in the photo ~ and you know you wanna look good, especially if company’s coming! You can whip out these no sew babies in a matter of minutes… If you’re like me, you like to have special things like this for each and every holiday, Christmas, Thanksgiving, New Years, Valentines, St Patties, 4th of July… and then you also want special ones for birthdays, date nights. Well, it’s just fun isn’t it, and we all wanna have as much fun as we can possibly fit into any day *wink*! You’re a diva of magnificance, and it shows, oh yes it does darlings, put on your magic slippers and dance! Check it out, then send me the photos of your finished masterpieces! This entry was posted in food & entertaining, gifts & crafts and tagged DIY cozy cottage, handmade placemats, Kitchen and Dining, no sew placemats on December 4, 2013 by Presley-Love. Funny that I just stumbled upon this recipe for Russian Tea… I lost the recipe a few years ago, but instantly recognized it when I saw it on Daunes site. 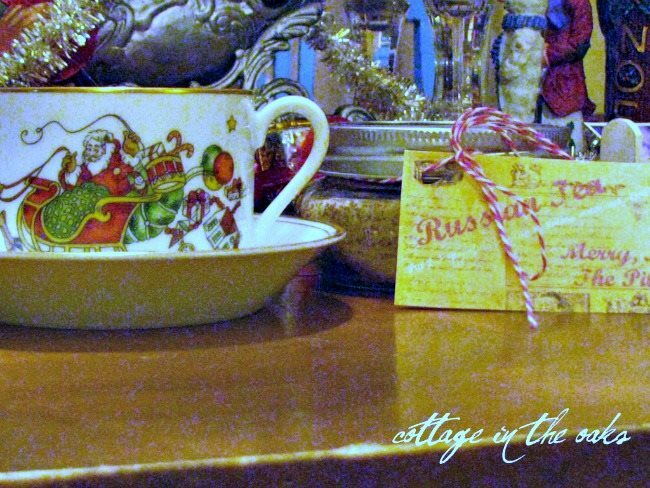 I first had Russian Tea when it was given to me as a Christmas gift years ago ~ I was hooked, and I do mean hooked! And from that point I made my own for years, at the beginning of fall each year. It makes a lovely gift, and mine was given to me in a quaint little tin which I still have btw… now I keep my cornstarch in it! Whip up a large batch and give it as a gift ~ they’ll love you, they’ll adore you… then they’ll ask for more! Daune also shares a printable tag to go along with your gift, as shown in the photo! This entry was posted in food & entertaining, gifts & crafts, holidays and tagged DIY cozy cottage, russian tea recipe on December 1, 2013 by Presley-Love. DIY lovers, don’t miss a thing… join us at DIY Cozy Cottage on Facebook to get updates for all of our new sweet n saavy projects – posting 3 to 10 new projects everyday! This is so adorably cute, and your kids will love this. Puts a new spin on “go fish”! 1. Find old socks, or buy a few pair of new ones ~ must be cute ones! Add a piece of metal in the mouth of the the fish like a nut from the hardware store ( NO SHARP EDGES). Stuff with fluff, add a button for an eye and tie with a ribbon as shown. 2. Find a stick, tie a string to the stick with a magnet tied inside of a piece of thin cloth at the end of the string. 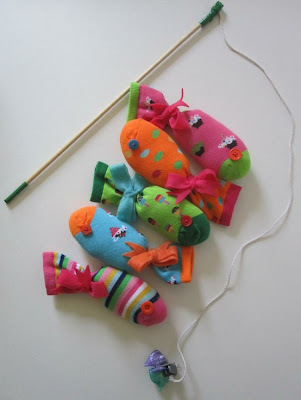 This entry was posted in gifts & crafts, stuff for kids and tagged DIY cozy cottage, go fish game, homemade toys, kids toys on November 29, 2013 by Presley-Love. Can you just imagine making your own little enchanted wonderland of castles and cottages? How perfectly magical! Begin this project by searching and collecting the images of castles and cottages you want, it’s a breeze from there to make this project with battery operated tea lights. 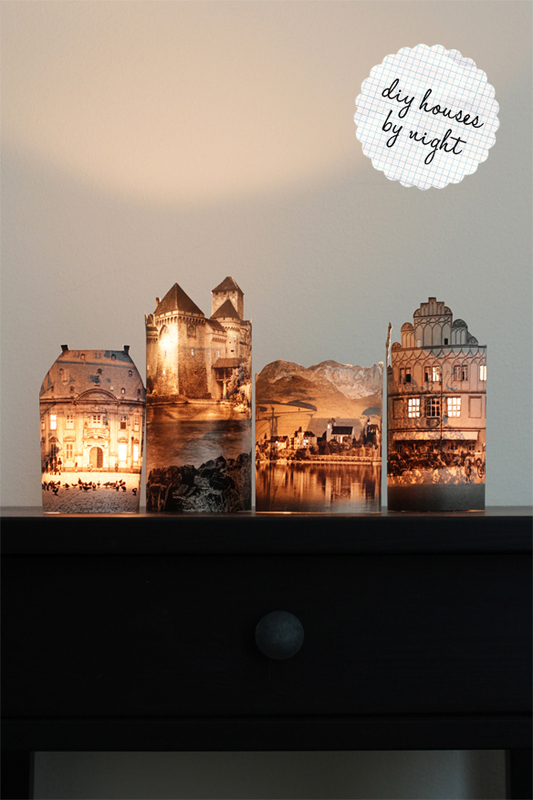 This entry was posted in decor, gifts & crafts and tagged DIY cozy cottage, how to make night lights, night lights on November 29, 2013 by Presley-Love. Salsa Rojo! This toasted roasted salsa is reputed to be the very best! The best of the best! I love this, because it’s different than the usual salsa. Anything roasted is just a notch better, wouldn’t you agree? . And don’t let the term roasting scare you, it’s done by cooking something in the oven. 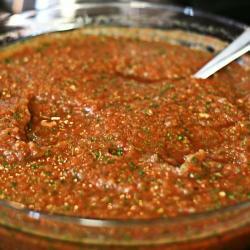 If you’re a salsa lover, give this one a try. Go get the chips already!! This entry was posted in food & entertaining and tagged DIY cozy cottage, homemade salsa, roasted red salsa, salsa recpe on November 29, 2013 by Presley-Love.